• Model development, model evaluation, process identification and applications in diverse sectors of the environment (as outlined below) provided they reveal insights and contribute to the store of knowledge. Insights can relate to the generality and limitations of the modelling, methods, the model application and/or the systems modelled. Insights should be ones that are generalizable in some way and are likely to be of interest to those studying other systems and, preferably, other system types. • Real-world applications of software technologies - particularly state-of-the-art environmental software able to deal with complex requirements, conflicting user perspectives, and/or evolving data structures. Aspects related to software usability, reliability, verification and validation should be backed up with quantitative results as much as possible. Development and maintenance costs, and adoption and penetration of the software in the target user groups should be addressed. Licensing issues and open source access should be clearly specified. • Issues and methods related to the integrated modeling, assessment and management of environmental systems - including relevant policy and institutional analysis, public participation principles and methods, decision making methods, model integration, quality assurance and evaluation of models, data and procedures. Authors must specify clearly the objectives of their models and/or software, and report on the essential steps that were used in their development, normally including the rationale for the type of approach selected and substantial testing and evaluation of it - comparisons with alternative approaches and methods are encouraged. The purpose of this specification, evaluation and reporting is to convey the rigour and credibility of the work and therefore its potential to contribute to knowledge acquisition. To this latter end, authors are expected to briefly review and cite the historical progress made for their problem and clearly show how their work adds value to the literature. The journal encourages submission of Short Communications of less than 3,000 words.For these and the regular papers, supplementary material such as software demonstrations, model simulations and additional performance tests, can be posted in electronic form and commented upon by users. • Generic and pervasive frameworks, techniques and issues - including system identification theory and practice, model conception, model integration, model and/or software evaluation, sensitivity and uncertainty assessment, visualization, scale and regionalization issues. • Integrated assessment and management of systems (river basins, regions etc.) for enhancing sustainability outcomes - including linked socioeconomic and biophysical models that may be developed with stakeholders for understanding systems, communication and learning, and improving system outcomes. • Artificial Intelligence (AI) techniques and systems, such as knowledge-based systems / expert systems, case-based reasoning systems, data mining, multi-agent systems, Bayesian networks, artificial neural networks, fuzzy logic, or knowledge elicitation and knowledge acquisition methods. • Decision support systems and environmental information systems- implementation and use of environmental data and models to support all phases and aspects of decision making, in particular supporting group and participatory decision making processes. Intelligent Environmental Decision Support Systems can include qualitative, quantitative, mathematical, statistical, AI models and meta-models. • Process-identification of environmental dynamics for instance of surface and subsurface hydrology, limnology, meteorology, geophysics with special respect to the interaction of anthroposphere and biosphere. These methodological developments should be illustrated with applications in the environmental fields, e.g. 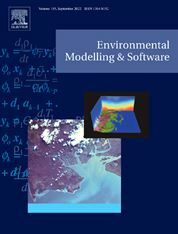 Environmental Modelling and Software welcomes review articles on the topics above, especially ones that relate to generic modelling and/or software issues, or are cross-disciplinary in their problem treatment. Introductory Overviews are designed to provide a concise topic overview that caters to the eclectic readership of EMS. These articles aim to break down barriers to shared understanding and dialogue within multidisciplinary teams, and to make environmental modelling dimensions more accessible to a wider audience. Introductory Overviews include an introduction to the fundamentals of the topic and reference to key literature. Relevant concepts are presented in relatively simple terms, but with the audience assumed to have some basic knowledge of environmental modelling and mathematics. These articles are not intended to be comprehensive reviews but non-technical primers on essential modelling concepts. Introductory Overviews are peer reviewed and are by invitation only; ideas for Introductory Overviews can however be canvassed with any of the Editors.